Last year, when some Coalition and cross-bench politicians were saying ‘Oops!’ about the nature of their citizenship, Mr Shorten declared, proudly and authoritatively, that Labor had strict and rigorous procedures, and he was satisfied that all his people were safe from the High Court’s frown. As it happened, he and his team seem not to have been strict and rigorous enough. Senator Katy Gallagher, former Labor Chief Minister in the ACT, was found to have been a dual citizen (Australian and UK) at the time she was elected. That decision pushed three Labor MPs, Ms Keay (Braddon, Tas,) Ms Lamb (Longman, Qld) and Mr Wilson (Fremantle, WA), and the Centre Alliance’s Ms Sharkie (Mayo, SA) to resign before they were tipped out. All saw that they would have suffered the same fate as Senator Gallagher. I wrote about dual citizenship some time ago, and wondered what objection we ought to have about dual citizens representing us in Parliament, and I’ll return to that issue later. The High Court, in its recent judgment, looked to the other nation to establish what one had ‘reasonably to do’ to accept that you didn’t want to be a citizen of that nation any more, and of course that would vary from nation to nation. Now were Ruritania, for example, to rule that no Ruritanian could ever renounce his or her citizenship, then the High Court has set out that a Ruritanian/Australian dual citizen could stand for our Parliament — at least, that is my reading of the judgment. I’m not sure that there is any nation that has so ruled, but I remember that when I was doing my National Service in the Army one of my fellow soldiers, Greek-born, received peremptory notice to turn up for military training in Corinth. For those interested, the relevant passage in the judgment involves what the Court calls a ‘constitutional imperative that an Australian citizen not be irremediably prevented by foreign law from participation in representative government’. As it happens, all of the recently retired, or vacating, MPs and senators had done their renunciation paperwork before election day (which was 9 June 2016). But their renunciations weren’t accepted until after that date, in some cases well past that date. In some of the cases that occurred earlier, it hasn’t been clear whether or not someone is a citizen of a given nation, and some have argued that they were stateless when they were born. All in all, it is a murky area. The immediate outcome, of course, is the so-called Super Saturday set of by-elections, to be decided on 28 July. Mr Shorten has more egg on his face because his party has had to move the ALP National Conference to another date. Blaming the Government for this is fatuous. Decisions of this kind are advised by the Electoral Commissioner, who is not a member of the Government but an independent statutory officer. He advises both the Government and Opposition, and no doubt all other parties as well. No Government would change the advised date, for this would be to over-ride a statutory officer whose whole status rests on his being above the party fray. Now the Commissioner thought the date was ‘optimal’, notwithstanding that the Saturday in question would occur during the ALP’s National Conference. It was not his business to decide that this would be difficult for the Labor Party, and so he should choose another day. No doubt the Speaker (who officially sets the date) did so with a certain glee, but them’s the breaks. The point is that had Mr Shorten been tougher and more rigorous before the last election about dual citizenship, not to say less outspoken about his virtues in this area, he wouldn’t have his present embarrassment at all. And perhaps a word about the by-elections. There are five of them, because Labor’s Tim Hammond, the Member of Perth, quit politics because of the demands on his young family. The Liberals won’t field a candidate there, as far as I know. So that one’s safe for Labor. In the other four the retiring members will recontest their seats. Sitting members always have a bit of an advantage unless they have been in the news for the wrong reasons (Mr Joyce, for example, is unlikely to be doing well in New England at the moment). Let’s look at the others. Josh Wilson has a pretty safe seat in Fremantle, and I’m not aware that the Liberals are running a candidate against him. Rebekha Sharkie was elected for Mayo as a member of the Nick Xenophon team (renamed after his departure for State politics), and seems not have offended anyone much. The Liberals have endorsed Alexander Downer’s daughter Georgina for the seat, which her father held for 24 years. Justine Keay in Braddon, faces a similar test, as the Liberals have put up the former federal member, Brett Whitely, as their candidate. He had only one term is Braddon’s MP, and was a strong supporter of Tony Abbott. Susan Lamb won the seat of Longman in 2016 with One Nation preferences, which she is unlikely to get again. On the other hand, nobody knows how well One Nation will poll in the seat. Indeed, at the time of writing, no one has much idea how anyone will do in these by-elections, partly because there are so many variables. One person who has a deep and abiding interest in the outcome is Bill Shorten, whose leadership, according to some, like Michelle Grattan, is threatened if Labor were to lose either Braddon or Longman. Such an outcome would be truly exceptional since governments do not tend to do well in by-elections, no matter which party is in office. But a decent showing by Coalition candidates would be some kind of pointer to the outcome of the next federal elections, due for early 2019, but always possible at some time in the latter part of this year. But my interest is still in the constitutional impasse that currently exists. As I said in my last essay, the High Court has said, quite properly, that this is a task for Parliament. The Government in return has said very little about any kind of change, which would require a referendum. I think there is too little time between now and the next elections for there to be both agreement with the Opposition about the shape of such an amendment, and the kind of public education campaign that needs to occur over time for there to be a positive result in such a referendum. The truth is that Australians have shown themselves to be deeply conservative about Constitutional change by referendum, though they seem oblivious to the kinds of Constitutional change that occur through decisions of the High Court or through the adroitness of governments, for example, in using s.96 to make grants to States to induce them to do things, or sometimes not to do things. Think about how you would frame a question that is meaningful Constitutionally and makes good sense to voters. It’s not easy. Yet the world is moving slowly and perhaps hesitantly to recognising that a person can ‘belong’ to two nations in a positive way, and act as a citizen in each, always accepting it won’t work if the two nations are at war. You might argue that the more dual citizens there are, the less likely nations are to go to war. There is no sign that the Government is planning a referendum proposal, and all I’ve heard from Labor is a piece of annoyance that the Government has done nothing, rather than offering a sensible proposal of its own. As I wrote six months ago, this issue is not going to go away, but for the moment the High Court has stated the current rule: if you want to run for the Federal Parliament, you need to have renounced any other citizenship you have, and be able to show clear evidence of the acceptance of that renunciation, well before polling day. I would be surprised if there are any further referrals to the High Court from Parliament after the next elections. No disagreements with your thoughts Don – but two related issues. First: we lived with this constitution for well over a century without this issue arising and I don’t see why it matters now as they swear allegiance to Australia when sworn in. Second: In the past, with constitutional issues the intent of the drafters of the constitution was usually a major factor in decisions. In this case, our founding fathers can certainly be seen as not wishing to rule out Brits or anyone else from the empire – this was clearly aimed at keeping all the lesser beings out. While I don’t believe that is now appropriate, that’s how I see it should have been judged. Isn’t this exactly the reason for being conservative about constitutional change? It could be, and, to push your point further, the referendum is the only opportunity people have to say what they think about Constitutional change. The other bits they see happen (or not see) but can’t do anything about. There may be a future wrinkle in that an Aboriginal candidate who has formally sworn allegiance to the Aboriginal Nation, despite being an Australian under the Constitution, is elected into Parliament. Look on the bright side, at least it got that fool Malcolm Roberts out of the Senate. His next-in-line replacement then quit the party once sworn in and it seems another one is peeling away today. One Nation… SNAFU. Good point Jimbo. Did not “believe” he was British, but kicked out all the same. Pesky judges in their ivory towers! Nevertheless, jimb and davie, clever chaps that you are, Malcolm Roberts situation would have applied in the past. Just not today. It is a shame to see Peril-ridden Pauline bereft of the one person she needed. Neither the laws of physics nor the laws of the land have ever featured too strongly in this guy’s mind. It’s all about which laws you “choose to believe”. It all came off the rails with his maiden speech and went downhill from there…. Given who’s left it’s hard to believe, but PHON’s average IQ actually went up when the High Court finally caught up with this guy. Stop dealing with biased, third party reports of which there are endless quantities, jimb, and look at the man. “He said had no reason to believe he was British, but thought it best to double-check – given both of his parents held British passports – while filling out a nomination form for the Senate. Jimbo, I’ve met and talked with Malcolm Roberts on a couple of occasions. He seemed quite sensible and knowledgeable to me. He does have a degree in engineering from UQ. You have perhaps superior knowledge…? Now I’ve looked at the SBS video. What a biased pair of interviewers! Roberts could have responded, when it was suggested that he had worked for coal companies and must therefore be biased, well, people like Dr Michael Mann make their living out of proclaiming the evils of catastrophic human-induced climate change. Does that mean what he says must be biased too? And then go on to his statement about evidence. I thought he came out of that awful interview well. And it reminded me of what he has like when I met him, open, pleasant, thoughtful..
Don, see if you can spot any errors in the physics in his maiden speech I quoted above. By “physics”, jimb, do you mean what the groupthinkers churn out in their computer models that are 97% wrong and getting wronger by the day or do you mean what really happens with atmospheric cooling that the experts have yet to quantify? Malcolm Roberts was more correct than the groupthinkers. Please explain where you think he was wrong. As I have pointed out to others, slamming something for the material in a sentence is not evidence of analytic skill on the slammer’s part. The whole speech, maybe, but not a sentence. Have any issues with that Don? We know what “physics” you are on about, jimb. He later recanted, of course, but then how does the natural variation in greenhouse effect of WV compare with the effect of human produced CO2 or even CO2 in total? These “experts” don’t know. They can’t answer any of these questions because adequate data does not exist. Malcolm Roberts’ was based on good mining engineer, hard sci, physics. SD, you’ll find that Jimbo, David etc couldn’t care less about proper physics or evidence or data. But they still believe the infantile nonsense from Shorten and Bob Brown who claim we Aussies have had an impact on their delusional CAGW. In fact many from the Labor party and the Greens have made ridiculous claims about mitigation that can’t be supported by simple maths and science. Even our Chief Scientist Dr Finkel agrees that there is nothing we Aussies can do that would make any difference about their CAGW delusion. He added that we could reduce our Co2 levels to zero and achieve the same result. 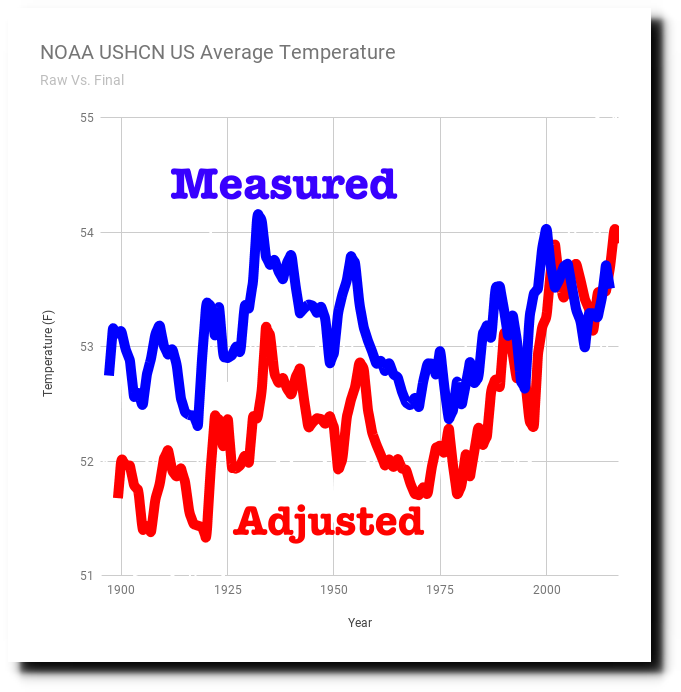 BTW Dr Roy Spencer has posted another drop in temp for UAH V 6 during May. The SH and OZ are now showing negative temps for May. And Dr Spencer has checked out Human impact on SLR since 1950 and found little attribution from their so called CAGW. What a pity Schmidt hasn’t got the guts to formally debate Eschenbach or Spencer on the data. Perhaps he fears that his maths would let him down? “Why is it next to impossible to obtain a PhD in Atmospheric science if one is a global warming sceptic? Yet they question Malcolm Roberts’ physics. How much more corruption and fra-d should be tolerated before govt’s worldwide abandon their CAGW delusion? One lot of proposals for the nationality conflict clause in the Constitution is to interpret it in it’s meaning at the time of drafting. That would at least null the idea of citizenship in Australia and any other of the British colonies of the time being dual nationality. But that could set a precedent for interpretation of all the clauses. What did the word “marriage” mean at the time of drafting.